Real battle with Heroes on your hands! Heroes Saga! Real battle with Heroes on your hands! Meet the historical heroes and go adventure with them! Heroes Saga lead you fatastic RPG world. 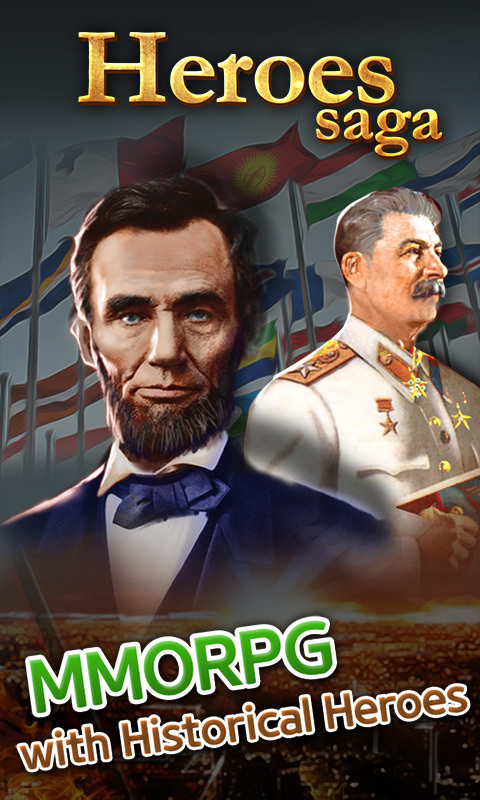 From Alexander the Great to Abraham Lincoln, numrous heroes in history of the world are waiting for your challenge. 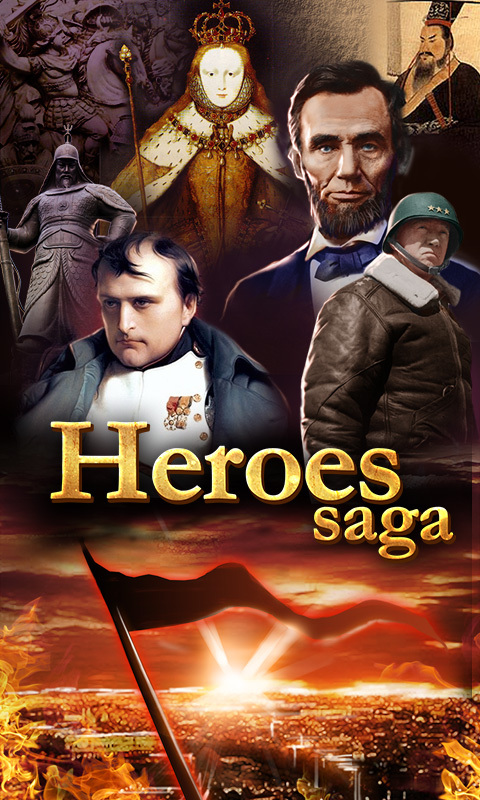 - Defeat the enemies with greatest heroes. - Upgrade heroes and command up more powerful troops. 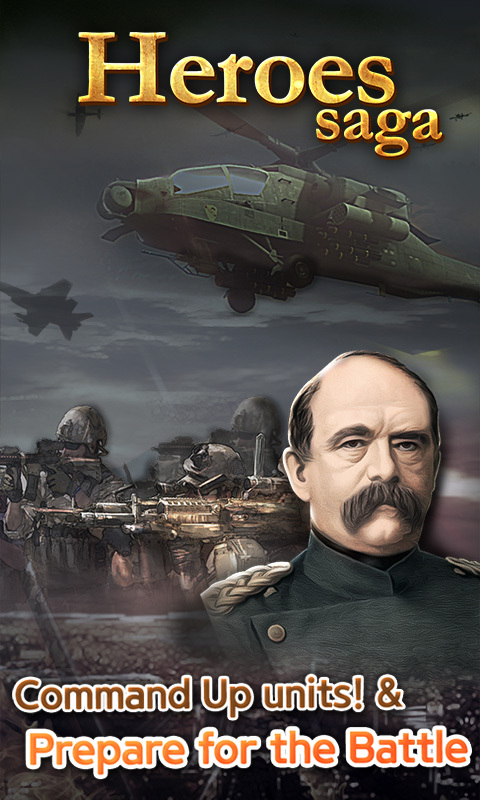 - Collect military units from Stone age worriers to Future high technologies robots. - Enhence the units to defeat other user. - Heroes battle aginst with friends or other users. - it is compatitable with a real time online networks. 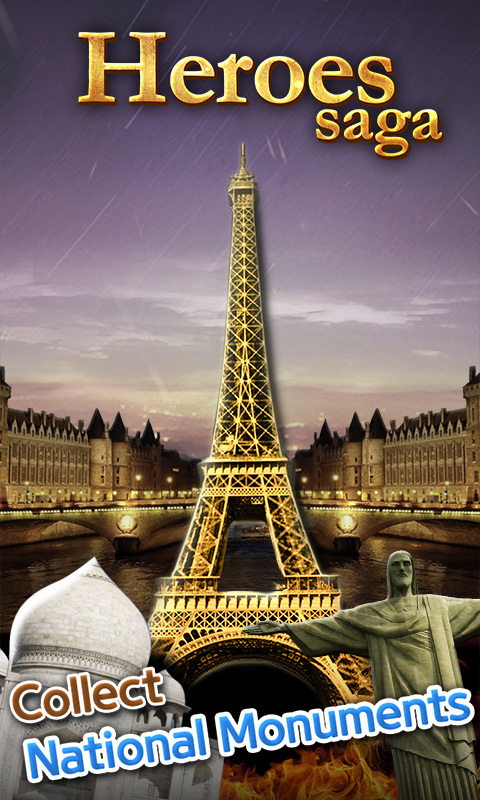 - There are various items for each ages from Stone age to future. 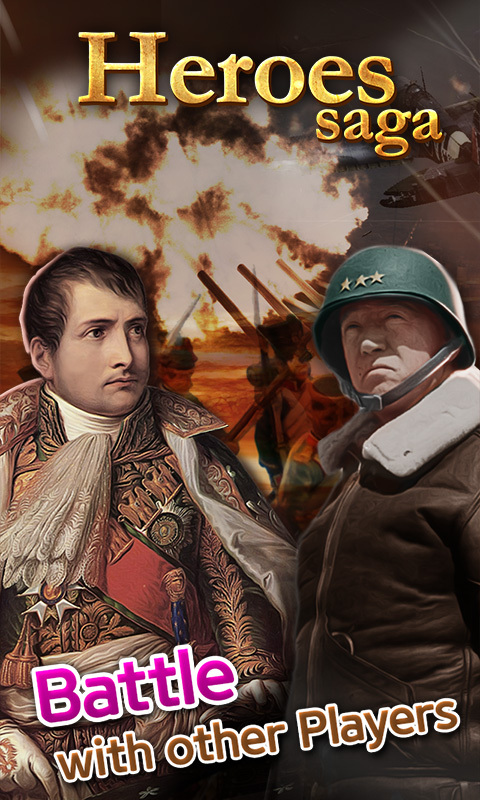 - Challenge the historical real incidents missions and episode. - This is an online game only. Users must be connected to WiFi, 3G, or 4G network in order to play.